A highly inventive, user-friendly Atlas, with lively and entertaining commentary, and peppered with little-known facts. Nick Page applies the features of contemporary mapping styles to journeys and locations: logging Paul’s journeys on a Roman Road map complete with distance chart; linking Biblical sites to the panorama of Jerusalem today with 3D relief mapping; and locating the latest archaeological and historical research findings, Google-earth style. 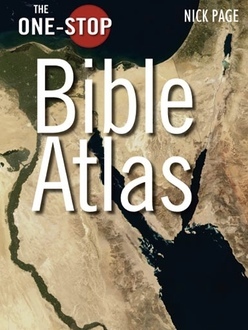 This truly innovative Bible Atlas will help readers visualise the journeys, events and locations and will bring the Bible to life in an entirely new way.